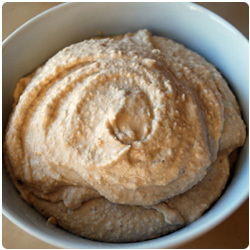 Hummus is a Middle East dip or spread made from cooked, mashed chickpeas, blended with tahini, olive oil, lemon juice salt and garlic. 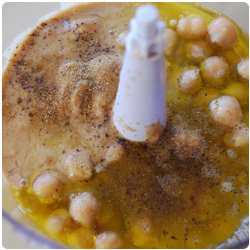 It is popular throughout the Middle East and in Middle Eastern cuisine around the globe. 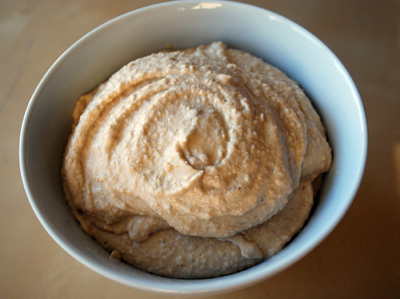 Hummus is a common part of everyday meals in Israel. 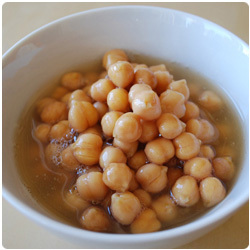 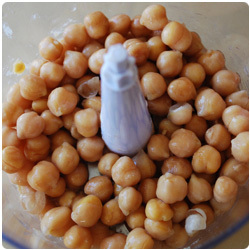 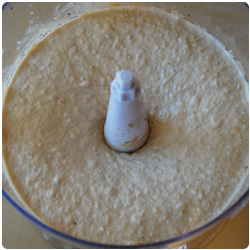 Dry the chickpeas, and put them in a food processor or blender. 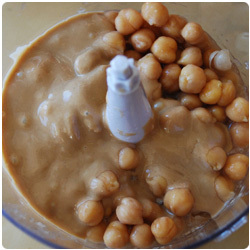 Add 3 spoons of Tahini sauce. 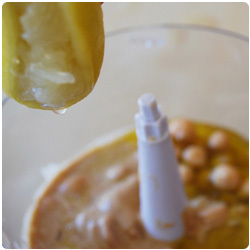 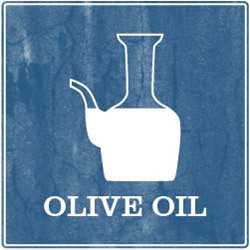 Add 2 spoons of olive oil into food processor. 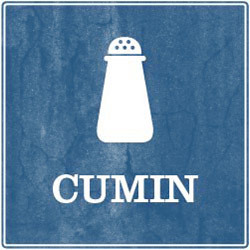 Add cumin, salt and pepper to taste. 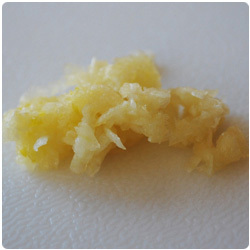 Add the juice of half a lemon. 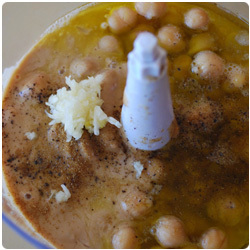 Mash the garlic cloves and add them to the mixer. 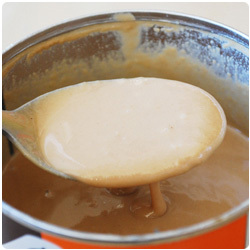 Mix for few min until you obtain a dense but spreadable cream. 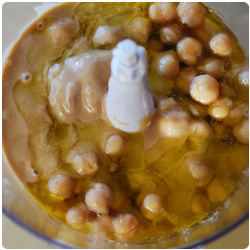 If it becomes too dense you can add one more tablespoon of olive oil or tahini sauce.